Anyway, despite my hectic schedule, (I will pack things after writing this post and will do some assignments too) I opened my email and saw Romwe's new SALE! They will launch a flash sale on 200+styles on 21st May. Cat face dress, batman shirt, Simpson shirt, etc are on the list! For sure you will be thrilled to see it. Romwe Outlet Flash Sale! Up to 80% OFF! 200+ styles! Limited supply! No restocking once sold out! Only 3 days! Hurry up >> Romwe Outlet Flash Sale! From 21st to 23rd May. if you're going with that sale good luck with the finds. hope that you'll get a number of good sales. yes sis. a 5-day training for the implementation of Grade 8. Sale after sale! I love them! Great items indeed! it actually focuses more on Filipinos to be well-equipped on jobs abroad. In fairness, nakakadugo ng utak ang techniques on how to launch it successfully to students. The catface dress is cute! 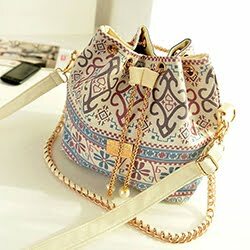 I checked out the site and found a few other items I liked. There's a blue shirtdress and camel cape. *Sigh* I'm tightening purse strings right now. I've been long wanting to have batman shirt. This may be my chance. Thanks. Thanks for the info. This will be great for those school requirements of wear something with a theme. Ooh.. hope that you manage to get good bargains at that sale. I have seen the name Romwe in various blogs and on Twitter. Have you shopped here? Wow, this outlet flash sale is very tempting! Makes me want to go to romwe.com right now! the cat face dress is so cute! i love it sis! :-) goodluck on your training sis and congrats on your new career. thanks sis. It's great being able to learn more on how to execute teachings on Grade8 but it really was a shock to most teachers. Nangangapa pa..
Wah I love that dress! Heading on to the website now. Thanks for sharing! wanted to say that I've really enjoyed browsing your blog posts. In any case I will be subscribing to your feed and I hope you write again very soon!